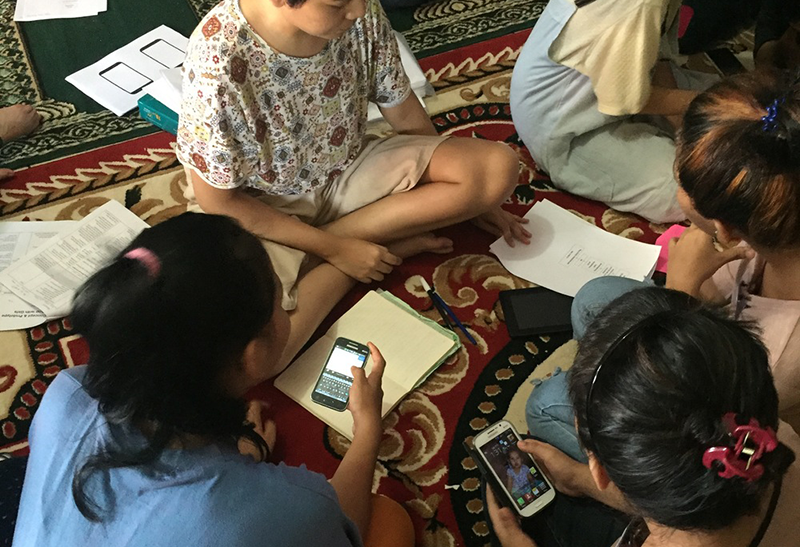 Praekelt.org is a mission-driven organization that builds mobile technologies to solve some of the world’s largest social problems. Over the past ten years, they have grown from a scrappy startup of three to a team of 60 spread across three continents. This rapid growth has brought amazing opportunities as well as its own challenges. Ambika Samarthya-Howard, Head of Communications at Praekelt.org, came to the Feedback Summit with three issues on her mind: how to increase engagement equally across their organization’s offices, how to measure the success of their internal communications, and how to embed feedback as a core value in their organizational culture. Find and celebrate the “bright spots”. Although Ambika had courageously come to us with her challenges, it soon became apparent to many in the room that there are plenty of successes to celebrate in Praekelt’s communications work. Ambika has piloted, tested, and fully implemented a variety of products and programs to engage staff, encourage internal feedback, and ensure compliance with company policies and standards. From e-newsletters and Slack channels to book clubs and annual staff retreats, Praekelt has demonstrated an impressive dedication to internal knowledge sharing. Products that have a personal or emotional connection, such as staff biographies that are highlighted in the internal newsletters, have been especially well-received. Understanding these “bright spots” and what makes them so effective could prove to be a powerful lever (or fulcrum!) for future initiatives. More isn’t always better. A plenitude of communication tools and channels does not necessarily ensure effective collaboration, or even effective knowledge transfer. Tools must respond to the audience’s needs or interests, which are not always easy to define. Henry Ford famously said: “If I had asked people what they wanted, they would have said ‘a faster horse.’” Understanding how to synthesize suggestions and tap into the deeper values and principles they reveal is the key to translating customer insights into action, and thus closing a feedback loop. Just as operational strategies and team structures should reinforce an organization’s overarching mission and vision, organizations must establish a “North Star” that reflects their highest standard of internal communications and feedback. Not only should we measure our success against that North Star, but we should continuously question the validity of the North Star and ensure that it evolves with the organization. As one participant in the LabStorm mentioned, the North Star is not likely to be “more hyperlinks clicked” or “more documents downloaded,” but rather a benchmark that allows a team to better understand whether staff find meaning and value in the information that is being shared, and interact with it in a way that benefits them as an individual employee and advances the organization as a whole. Building trust in times of growth or change. As organizations grow, it becomes more difficult to hear every voice, or ensure that the voices that are being heard are representative. The earliest stages of rapid growth can be particularly painful, as teams transition from a culture of full transparency and equal participation to more vertical management structures with information silos and delegation of authority and control. Even when it is not possible to engage the entire team in the development of a strategy or policy, simply acknowledging what cannot be changed, and clarifying when and how staff can provide input and feedback, demonstrates a commitment to transparency and builds trust. One participant also suggested designating point persons to liaise with the Head of Communications on behalf of smaller teams. Sharing the responsibility for gathering feedback across multiple levels of the organization would have two key benefits: it makes the decision about which information is solicited or reported more decentralized and democratic, and it allows the organization to practice the principles they preach, from open and honest communication to deeper connection and engagement.